I went to Brussels, Belgium for the first time in July 2018, since that first trip I have been back twice. Why? Why go back to the same city over and over again? Easy, waffles, frites and beer. Beer is the number one reason that we’ve visited this lovely city three times in one short year. There is a very small brewery in Brussels called Cantillon and if you are a beer geek, like my husband, then you know that this is a pilgrimage that all beer lovers must make. Thank goodness for the waffles. 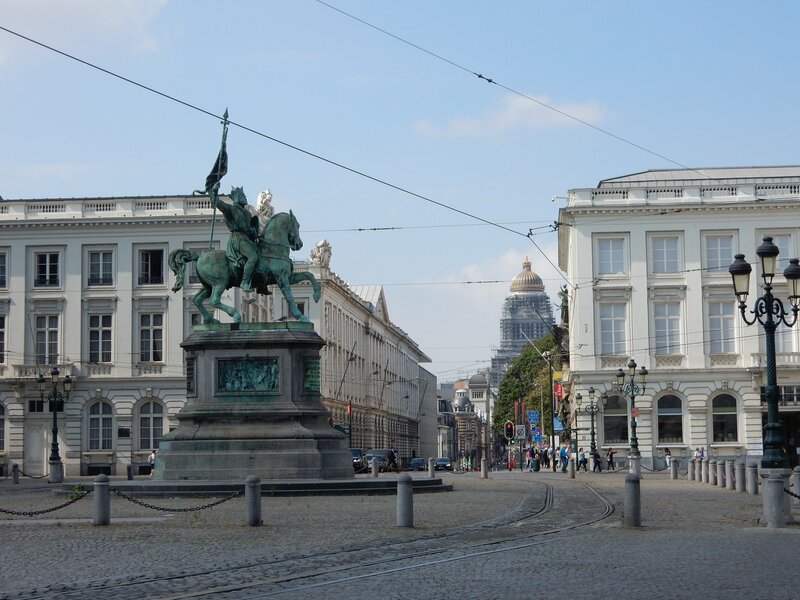 So what should you do when visiting Brussels? Here’s what I think. Oh.My.Goodness. Not only does this shop have the most delicate and diverse chocolate they have macarons to die for. In 1995, Pierre won the “World Champion Pastry Chef in Lyon and opened his first shop. The chocolates are beautiful and the shop workers will let you try anything and everything. What first caught our eye to enter this shop was the beautiful pinwheel installation on the outside of the building. How could you not investigate a shop so cute? As impressive as the Grand Place is during the day, at night it’s magical. The ornate, gilded buildings are aglow with soft light and no amount pictures can do it justice. Grab a waffle, take some selfies and enjoy the beauty. You cannot possibly visit without indulging in a waffle with delicious sweet toppings. I opted for chocolate and fresh whipped cream on my warm waffle,it was worth every calorie. I’m not a huge comic book person, Andrew is familiar with American comics like Marvel, but that’s where it ends. Belgium, especially Brussels, is very big on comic books. You will see huge murals on buildings of comic characters. You can google Comic Strip Tour and a map will pop up with a route to walk and see the murals but I thought it was kind of fun to just stumble upon them as we walked around the city. The Manneken-Pis statue is one of the most, if not the most famous thing to see in Brussels. This small bronze statue of a little boy peeing boy was designed by Hiëronymus Duquesnoy the Elder sometime between 1618 and 1619. I have to admit he was much smaller than I thought he was going to be, people make such a big fuss over him I imagined this huge fountain. It’s still a definite must while in the city and there is a bar across the street with super friendly bartenders and great Belgian beer. We could see it from miles away so we needed to investigate what this strange structure was. We learned at our hotel that it was called the Atomium. The Atomium was built for the World’s Fair in 1958, which Brussels hosted, this is not as well known as The Eiffle Tower, but it’s quite impressive. You can take an elevator to the top but we were short on time(and one of us is afraid of heights) so we just admired it from below. And it had a Smurf on it! How cool is that?!?!?! Ok, so now the main reason we have been to Brussels 3 times in the past year,Cantillon. Cantillon is a small Belgian traditional family brewery based in Brussels. The brewery, which was founded in 1900, exclusively brews lambic beers, which are a bit on the sour end. You can visit and just drink the beer or buy some merch but I recommend taking the tour. It’s really neat to see the equipment that they have been using for years and to see the beer barrels. On our first visit, a group of workers were cutting up apricots for an upcoming brew. They were sitting around a table on wooden crates cutting up barrels of apricots by hand, this brewery is old school and they do things right. Have you been to Brussels? What were some of your favorite things to do and see? I’m sure we’ll be going back soon.